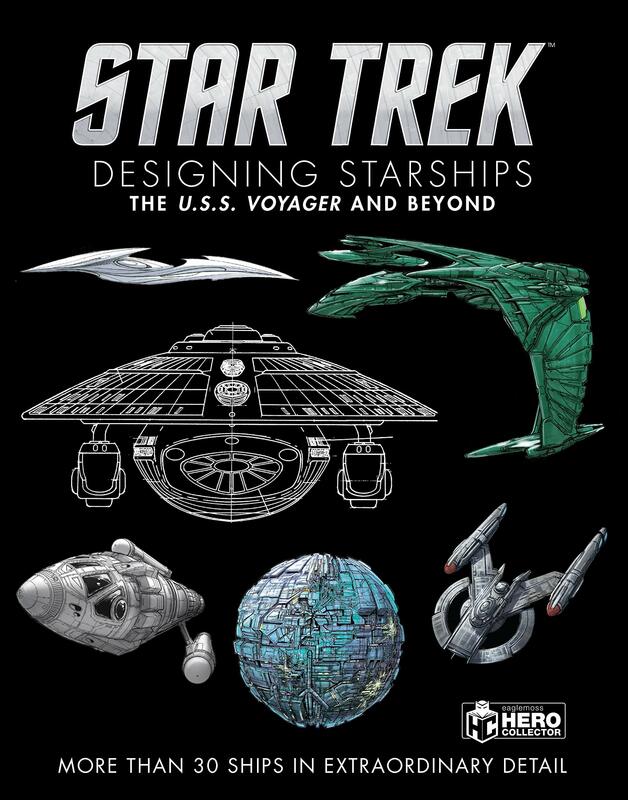 This book follows the journey of many of STAR TREK’s most famous ships, from concept sketch to screen. The designers reveal – in their own words – the often extraordinary stories behind the ships’ creation. Read the story of the U.S.S. Voyager – a ship that drew inspiration from a killer whale; Syd Mead’s fantastic living machine V’Ger; and the development of Doug Drexler’s Enterprise-J – the most futuristic starship ever. Discover the inside story on key ships from the TV series STAR TREK, STAR TREK: THE NEXT GENERATION, DEEP SPACE NINE, VOYAGER, and ENTERPRISE, and the movies STAR TREK: THE MOTION PICTURE, STAR TREK III: THE SEARCH FOR SPOCK, STAR TREK: FIRST CONTACT, STAR TREK: INSURRECTION, and STAR TREK NEMESIS.